Three sisters from Los Angeles. 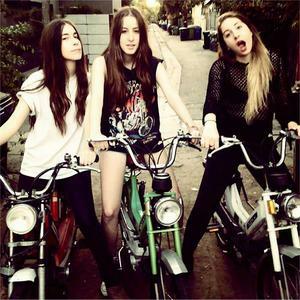 Este, Alana and Danielle Haim, grew up playing covers in a band-Rockinhaim- whose remaining members were their mum and dad. Once the siblings had put that behind them, they began writing their own material. The band is heavily influenced by Lindsey Buckingham (Fleetwood Mac) and play a mix of Californian Soft Rock and R&B and Kate Bush.